Use Secure Shell (SSH) to run commands on remote UNIX systems and, with some simple scripts, put together a system that enables you to manage many systems simultaneously from one machine without having to log in directly to the machines themselves. Also examine the basics of a distributed management system and some scripts and solutions using the technique. 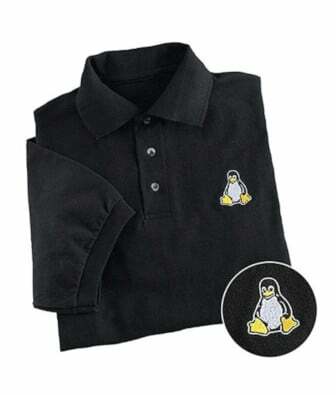 I have already covered how to execute commands on multiple Linux or UNIX servers via a shell script. The disadvantage of shell script is commands do not run in parallel on all servers. However, several tools exist to automate this procedure in parallel. With the help of tool called tentakel (highly recommended) , you run distributed command execution. 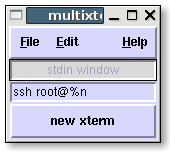 Also, you can execute commands on multiple Linux or UNIX servers using special tools such as multixterm from expect project. This is Part III in a series on Execute Commands on Multiple Linux or UNIX Servers Simultaneously. The full series is Part I, Part II, and Part III. If you have multiple servers then you can execute commands on multiple hosts simultaneously. Please note you can download expect from offical web site. -xc : The optional -xc argument indicates a command to be run in each named xterm (see -xn). With no -xc argument, the command is the current shell. This means you type command once and it get executed on both ssh hosts/servers. ssh root@%n : ssh is a command to connect remote server with root user. This name will also be substituted for any %n in the command argument. Explains how to run commands multiple UNIX / Linux systems using a shell script and ssh.